Update Nov 9, 2016: VERSION 2. 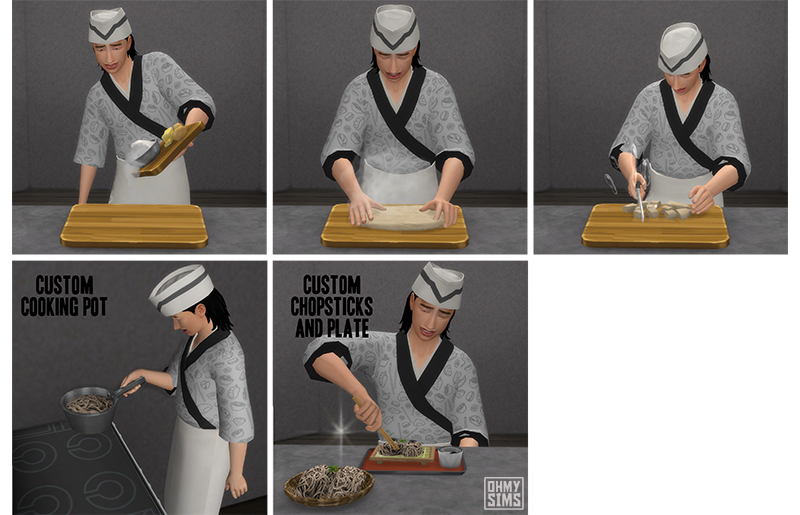 Now chopsticks are animated (replaced with EA ones that came along with the patch 1.24.102. ), and vegetarian safe. 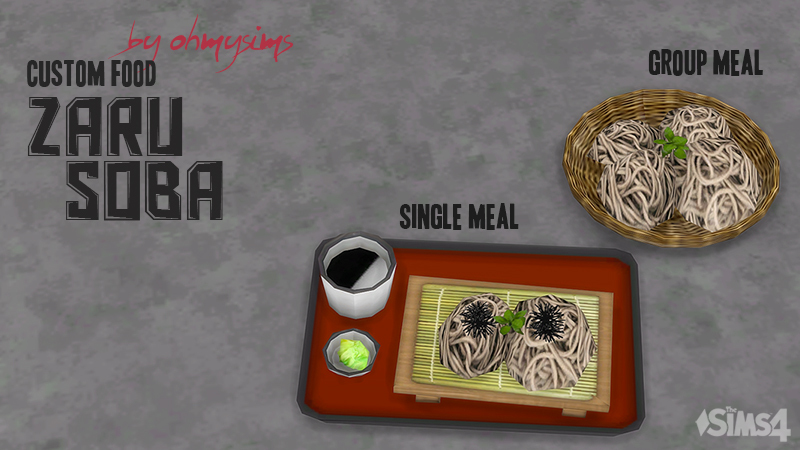 YOU NEED CUSTOM FOOD INTERACTION v1.6 or higher for the recipe to be available in game. Cooking skill is not required (Lv1). 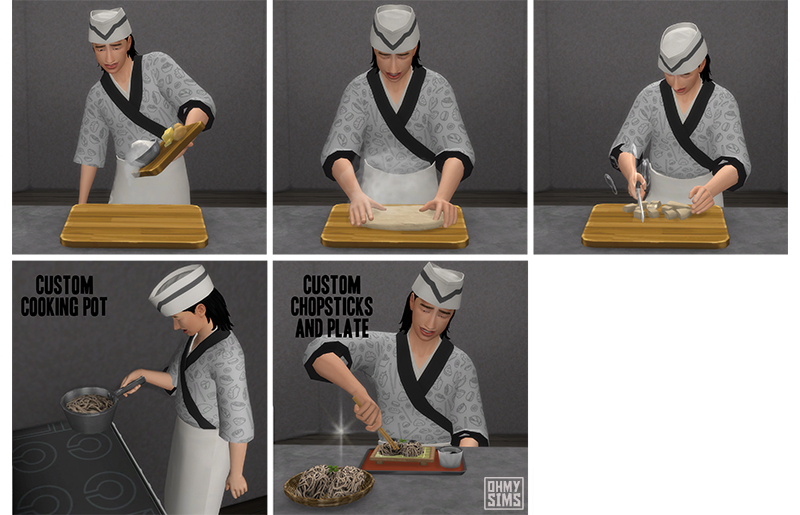 Cooking steps and props (chopsticks and basket) are customized. English, Czech, Chinese, Danish, Dutch, Finnish, French, German, Italian, Japanese, Korean, Norwegian, Portuguese, Russian (all translated by myself using the strings of other custom food. ); Polish (simmingstuff), Spanish (alexpilgrim), Swedish (heihu). Now this recipe is translated by all the supported language. 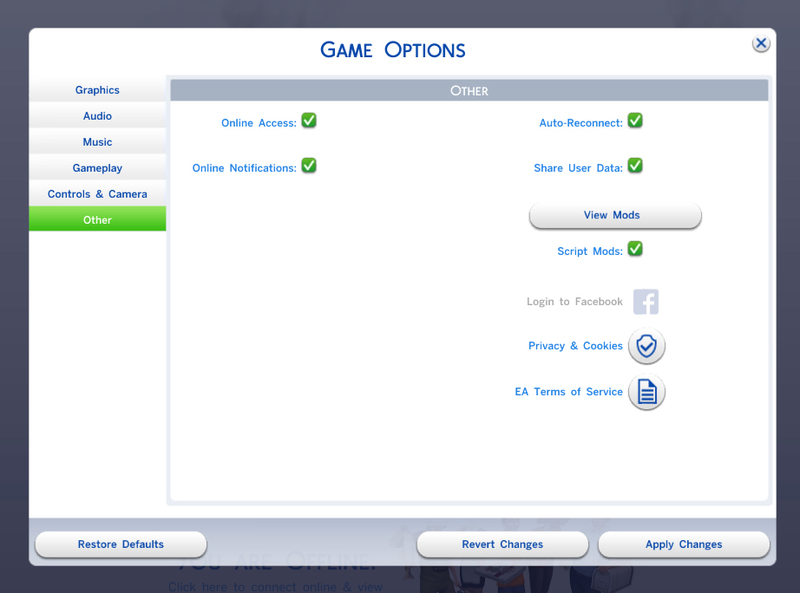 But still, feel free to correct any mistake and add suggestions! Simplestudio404 (kimu412) for the wicker tray. The rest are new meshes by me.